The British Applied Mathematics Colloquium 2017 has concluded at the University of Surrey with a closing ceremony taking place on the afternoon of 12 April. Congratulations to the organisers (David Lloyd, Ian Roulstone, Anne Skeldon) for their leadership and hard work, and special thanks to Tracey Simons for managing the conference. 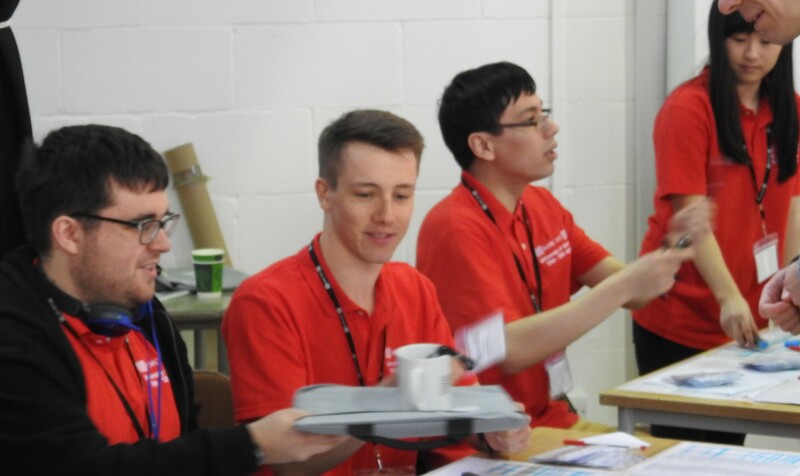 Many thanks to all the “red-shirted ones”, the PhD and UG students who helped out with registration and running of the conference. Planning is now underway for BAMC2018 in St Andrews! The twitter feed for BAMC2018 is here.